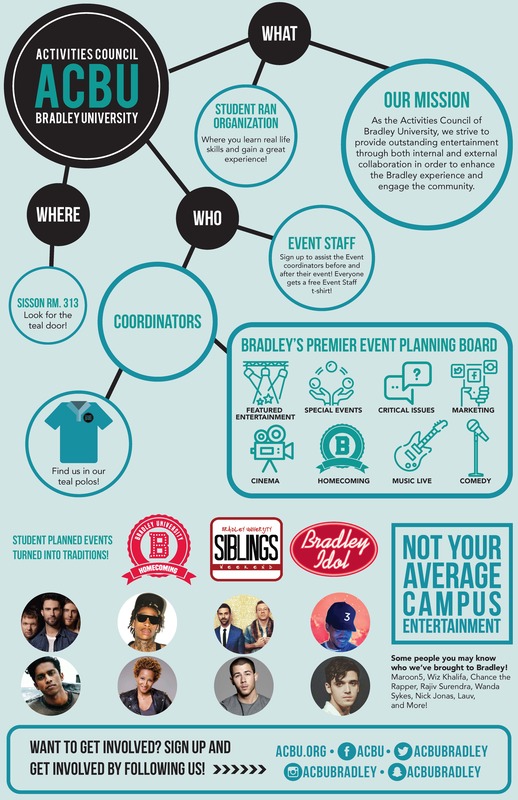 We are in charge of planning events around campus throughout the semester! We bring comedians, poets, artists, and movies to campus. The featured entertainment and homecoming are also put on by ACBU. We have coordinators for each program that are in charge of scheduling, but we love our event staff to help us out on the day of the event! WANT TO JOIN EVENT STAFF? 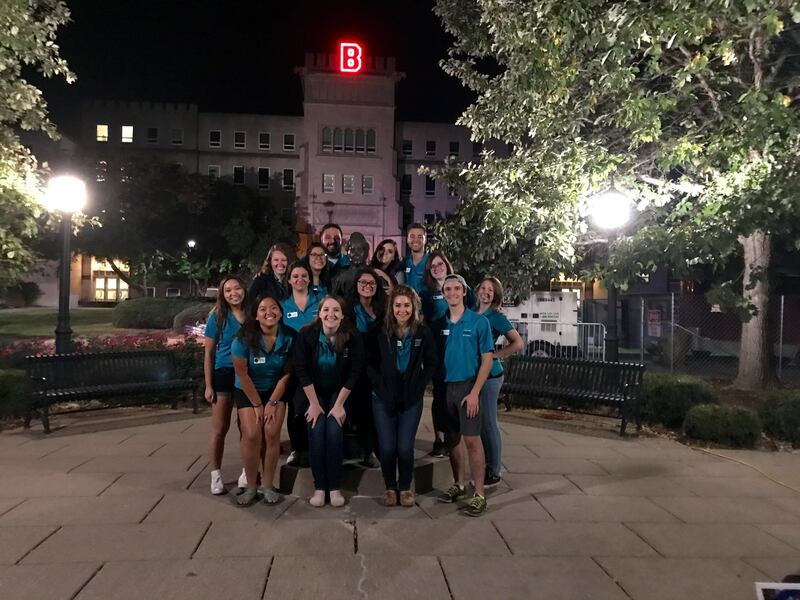 Event staff act as support for the coordinators by helping with brainstorming ideas, marketing events, and assisting with day-of-event activities. 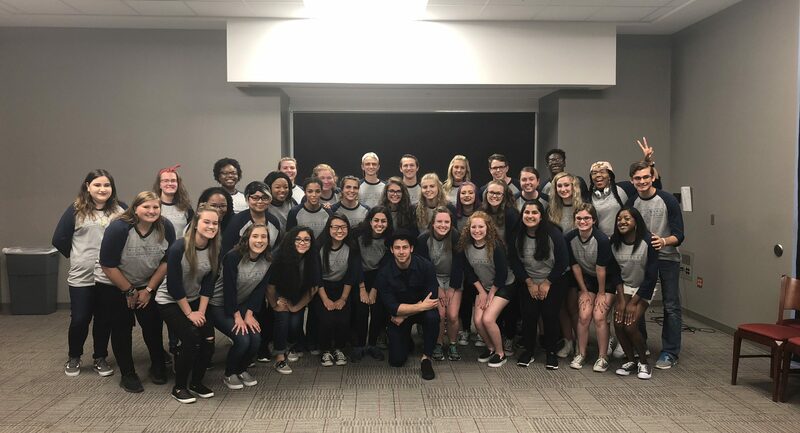 They are able to participate in workshops on event planning, shadow coordinators, help "behind-the-scenes" at high profile events, earn prizes, t-shirts and the ability to plan an event! Fill out this form to stay updated on ACBU activities and meeting times! Selects and plans music events showcasing “on the rise” artists or bands. Responds to current events and important or controversial issues occurring locally, nationally or worldwide through programs. Creates unique and exciting events aimed at providing fun and excitement with no boundaries! Selects and produces stand-up comedy performances. Selects and implements events featuring national headlining artists. Promotes Bradley school spirit & pride to plan and implement a week-long Homecoming celebration. Selects and shows the pre-home release movies shown in Marty Theatre or occasionally outside on Olin Quad. Responsible for promoting ACBU programs through social media, website, and creative marketing.